There are right and wrong ways to store your food. For example, some produce must be refrigerated while other types need to be kept at room temperature. Some cooking oils are fine on the countertop, and others should be stored in the fridge. Even some of your expired foods aren’t really expired, and you might be using the wrong Tupperware. Yikes. We’ve done the legwork to figure out the right ways to store your food so that it tastes best and lasts the longest. These are the answers to eight common kitchen storage mistakes. Did you know that there’s no national regulation detailing what expiration dates actually mean? Expiration dates often reflect taste, not safety or nutritional value. How do you know if your food is safe to eat? Use your eyes and nose—and follow your gut. Smell: If it smells fine and it was stored properly, it's likely okay to eat. Sight: Don’t let your eyes fool you when it comes to fresh food like produce. Bumps or bruises don’t mean something is ruined. Don't can the cans: Canned goods can last for decades. Even a can that's started to rust should still be okay, as long as it isn't bulging and the seal is intact. Check the packaging, use your senses, cook food thoroughly, and don’t let the perfect become the enemy of the good. A proper understanding of “expiration” dates could drastically cut down on food waste—not to mention wasted money out of your pocket. Learn if your condiments have really passed their prime. If you’re sick of throwing away disposable food wrap but still want to keep food fresh, Bee’s Wrap might be your answer. 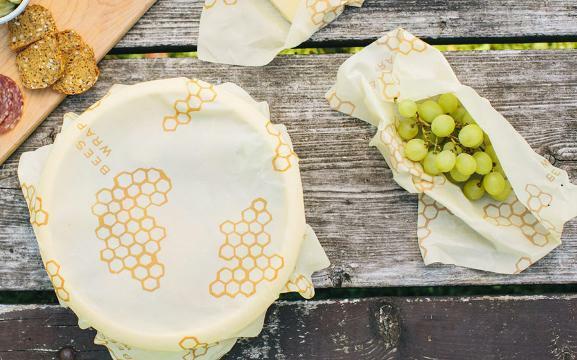 This reusable food wrap is made from beeswax and fabric. It’s designed so you can build a sandwich on top of it in your kitchen, then unwrap it to use as a placemat. Bee’s Wrap is also ideal for food storage. An avid home baker, creator Sarah Kaeck said it’ll help keep bread crusty and soft. It’s also great for wrapping cheese, half of an avocado, half of a lemon, covering jars and bowls (press some Bee’s Wrap onto the top of a container and the warmth of your hand will soften the wax just enough to create a seal). Afterwards, just wash it with cold water (soap is okay, but warm water melts the wax), hang-dry, and use it again. It should last about a year if you use it a few times a week. Learn more about Bee’s Wrap. Some foods are actively made worse by refrigeration—onions, potatoes, garlic, avocado, tomatoes, bananas, stone fruit, bread, pastries, melons, spices, honey, peanut butter, apples, coffee, eggs, butter, condiments, dressings, soy sauce and hot sauce should never (or rarely) be refrigerated. Surprised? Learn why you shouldn’t refrigerate these foods. Cooking oils sourced from fruits, vegetables, nuts, and seeds each have different storage needs. Exposure to oxygen, light or heat will subject oil to oxidation, eventually turning it rancid. While some cooking oils can be stored at room temperature, others do best when stored in the fridge. 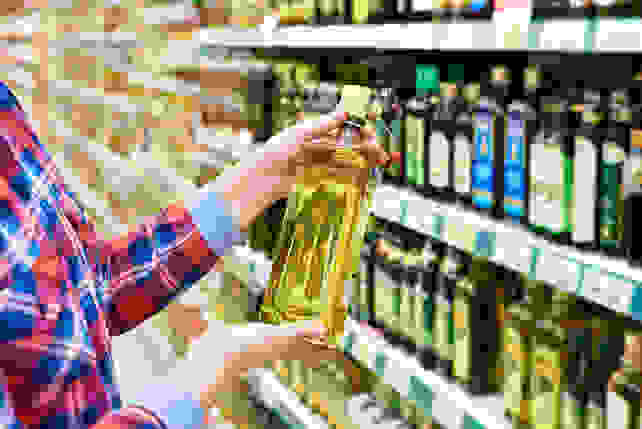 Corn and canola oils: These do just fine stored in a cool, dark cabinet, or you can refrigerate them if it takes more than a year to get through a bottle. Olive oil: Leaving olive oil out on the counter or a table, especially if the bottle gets direct sunlight, or storing it on or near a stove are surefire ways to turn it rancid quickly. Place it in the coolest, darkest place in your home or use a smaller glass bottle in the kitchen. Peanut oil: Can be kept for as long as two years if stored tightly capped and away from heat and light. Keeping peanut oil in the fridge may extend shelf life even further. Coconut oil: Very stable and (when kept at room temperature) has a shelf life of two years or more. Avocado, grapeseed, hazelnut, sesame, truffle, walnut, safflower and sunflower: Delicate oils that are especially prone to rancidity, especially if exposed to too much light or heat. Refrigerating after opening is recommended. Kept cold, these oils will remain viable for six months or more. Here's the full rundown on storing oils. 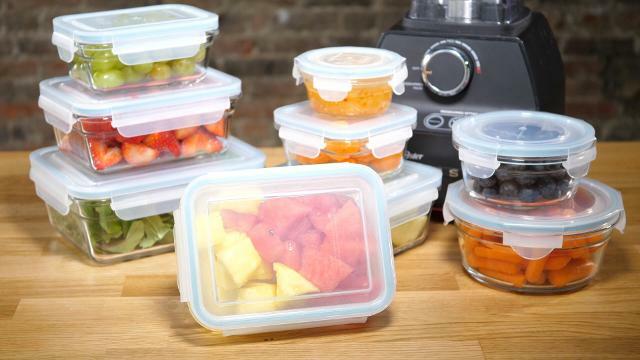 We tested the best-selling plastic and glass food storage containers on the market to find the best of the lot. We dropped them onto a linoleum floor, froze them, microwaved them, stained them, pried them apart, stacked them back together, and lots more. Best glass container: Glasslock Assorted Container Set didn't leak water when we sloshed them around, and didn't burst open or shatter when we dropped them from a countertop. When we froze them, expanding food didn't break through the seal. And after reheating with them, neither the tempered glass nor the plastic lids imparted off flavors into our food. The lids and glass resist stains, and the set is also marked dishwasher-, microwave-, and oven-safe. 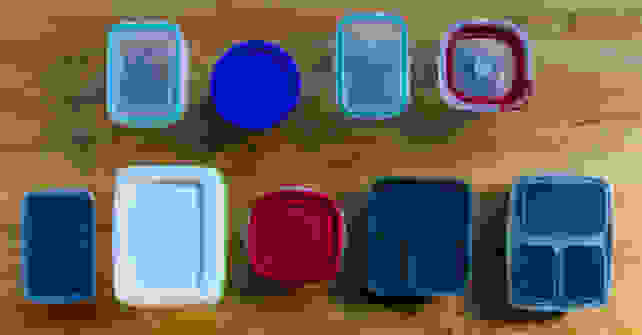 Best plastic container: Rubbermaid’s Easy Find Lids container won’t spring a leak unless you shake the container violently, and drops aren’t a problem unless the container happens to fall on its side or a corner. No plastic container is oven-safe, but the set is marked dishwasher- and microwave-safe, and carries a lifetime warranty. You should avoid freezing this set, as expanding food may pop the lid. See our top storage picks (and what to skip). Do you know which vegetables should stay at room temperature, which should be kept inside a crisper drawer, and which should never be stored together? Are you sure? 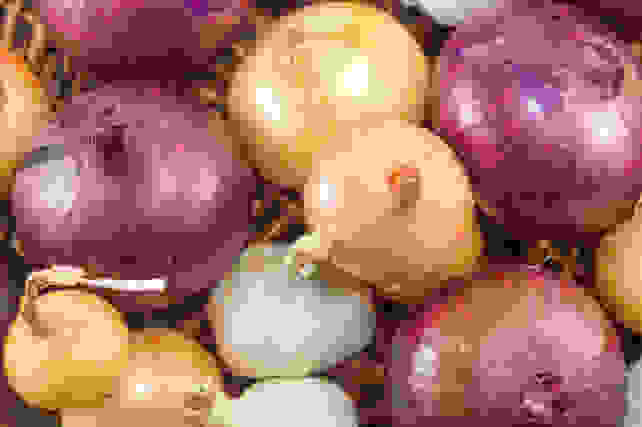 Do not refrigerate: Potatoes, onions, garlic, winter squash, tomatoes, bananas, peaches, plums, avocados, mangoes, melons, apples, pears, kiwis, and citrus. Keep separate: Produce that emits high levels of ethylene gas, including ripe bananas, apples, stone fruit (except for cherries), cantaloupe, honeydew melons, mangoes, pears, ripe kiwis, tomatoes, onions, and leeks. 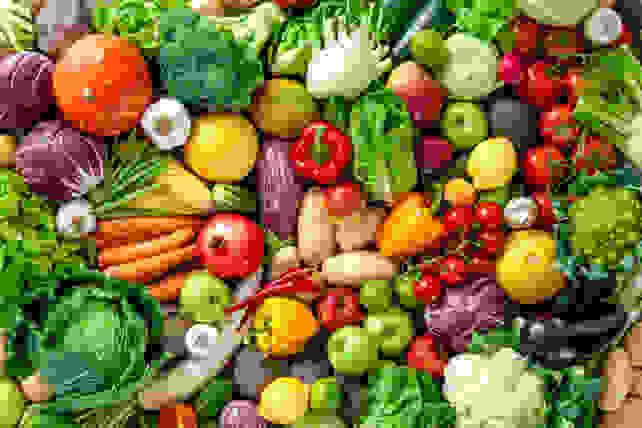 Store alone: Ethylene-sensitive produce, including broccoli, Brussels sprouts, cabbage, carrots, cauliflower, cucumber, eggplant, leafy greens, peas, peppers, squash, sweet potatoes, strawberries, and watermelon. Our handy guide shows you how to properly store your produce. 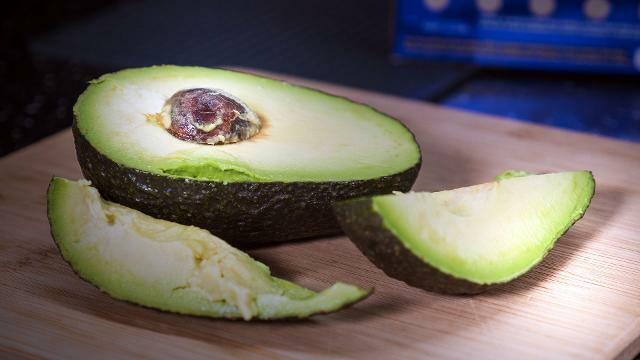 There are many ways to store a cut avocado, but only one that will actually keep it from browning and preserve the flavor: Leave the pit in an avocado, and tightly wrap the half in plastic wrap to keep the flavor and texture in tact. See more great—and some terrible—avocado hacks. 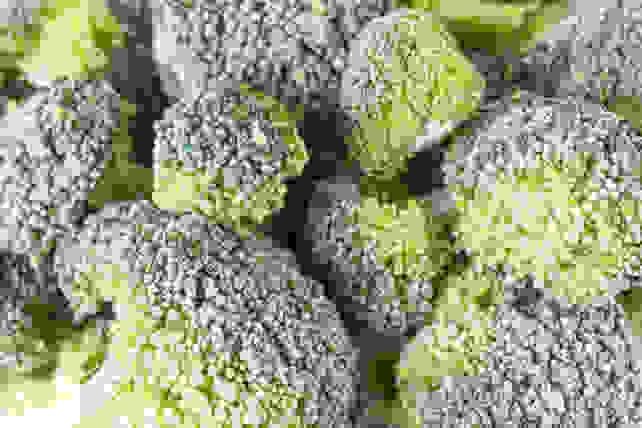 Biting into frozen food that’s merely supposed to be refrigerated isn’t just annoying: Freezing can completely alter the taste and texture of your food. And it’s probably because you’re probably arranging your fridge the wrong way. 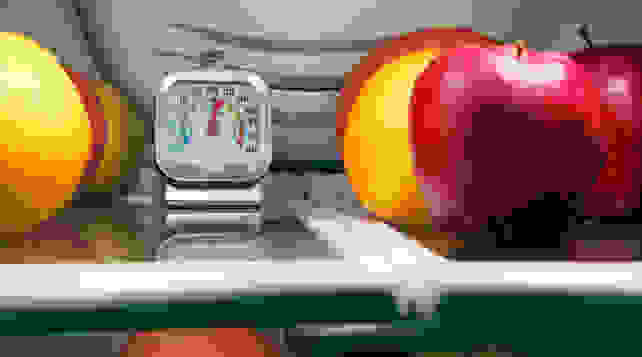 Check your fridge's temperature settings: The ideal temperature range for the interior of your fridge is 38-42°F. Determine problem areas: According to GE, the most common problem areas are the top shelf, the bottom of the fridge (crisper drawers and meat pans), and door shelves. Adjust your freezer: Turn up your freezer temperature settings, but nothing north of 0°F, which will facilitate bacterial growth and accelerate food spoilage. Check your ice maker: Make sure that your ice maker is not constantly running. This could make your freezer too cold and subsequently cause your refrigerated foods to freeze. Stock up your fridge: Refrigerators need to be well-stocked to absorb all of the cold air being vented into the cavity. If it is relatively empty, all of the cold air will sink to the bottom of the cavity and freeze your food. A fully stocked fridge will help maintain temperatures and, as a result, use less energy. Find out how to arrange your fridge correctly. Once we applied Vaseline to the seal, the refrigerator door stayed closed! 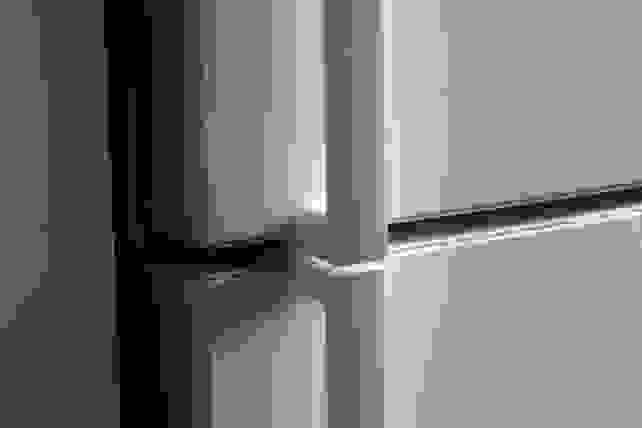 If your fridge door won't close, it's probably due to an old, dried-out gasket, the rubber seal that runs along its edge. Luckily, the fix is simple: wash the gasket, and apply petroleum jelly to the rubber to revitalize the old rubber. Learn how to repair a fridge door that won't close. Invest in a fridge thermometer. To use, place the thermometer in a cup of water. Why? Your refrigerator measures the temperature of the air around your food, but you want to simulate the temperature inside your foods. Check the thermometer after 24 hours and then, adjust the temperature of each appliance based on the results. Learn more about how to regulate your fridge's temperature.